Simon & Schuster, 9781476739335, 272pp. Is it still possible to fake your own death in the twenty-first century? With six figures of student loan debt, Elizabeth Greenwood was tempted to find out. 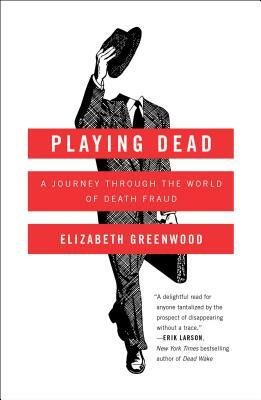 So off she sets on a darkly comic foray into the world of death fraud, where for $30,000 a consultant can make you disappear—but your suspicious insurance company might hire a private detective to dig up your coffin...only to find it filled with rocks. "Belongs to that genre of popular nonfiction best exemplified by Jon Ronson.... It’s a form that above all requires a likable, self-deprecating, curious narrator, and Greenwood fits the bill."